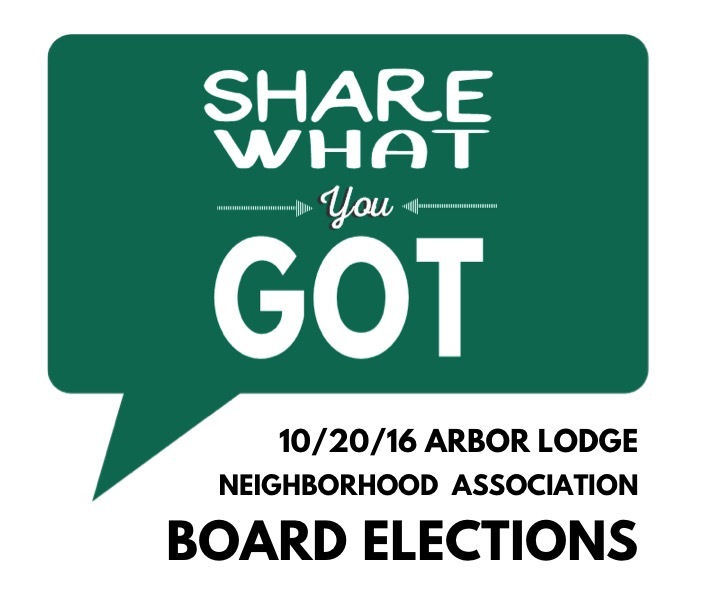 Join us for our Annual Membership and Elections meeting Thursday, October 20th. 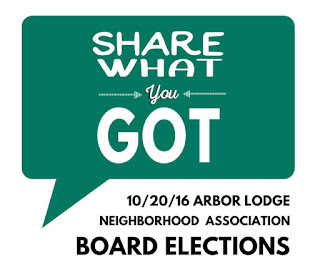 All positions are open to new candidates each year, so if you are interested in being part of the Arbor Lodge Neighborhood Association Board, let us know! Board members contribute a couple hours per month towards making great events happen in our neighborhood over the next year, like the neighborhood picnic, movies in the park, neighborhood cleanup and more! We expect everyone to regularly attend our monthly meetings, and then put a few hours towards some other project (new or existing) on behalf of the association some other time of the year. We hope you'll add your name to the list!